Lakshmi Ramgopal’s performance at Roots & Culture offers a preview of her forthcoming EP, which is due in 2019. By turns beautiful, strange, and frightening, her new songs look to birdsong and the genre of the lullaby to explore childhood and loss. Violinist Johanna Brock, cellist Erica Miller, and artist Asha Rowland accompany her for an evening that experiments with South Indian vocal and movement traditions. Lykanthea is the project of Lakshmi Ramgopal, a multidisciplinary artist based in Boston and Chicago who experiments with South Indian sound and movement traditions. 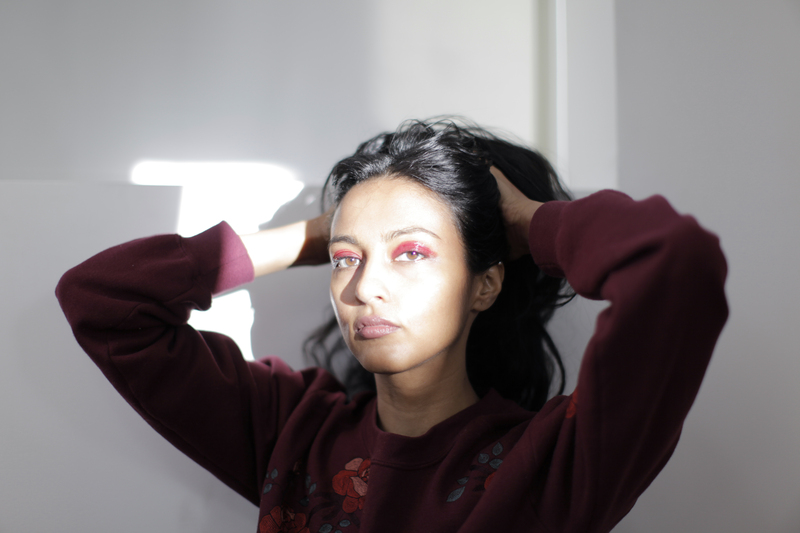 Based in Boston and Chicago, Ramgopal’s explorations of sound began with the electro-ambient experimentations of her debut EP Migration (2014). Since then they have morphed into expansive installations and multidisciplinary ensembles that feature strings, choruses, and movement artists. Following the 2014 release of Migration, which garnered praise from Noisey, Chicago Tribune, and Public Radio International’s The World, Ramgopal toured Europe as a Fellow of the American Academy in Rome and made appearances at Leipzig’s Wave-Gotik Treffen, New York University, and Chicago’s Museum of Contemporary Art. The last two years have seen her focused on sound installations like A Half-Light Chorus, a four-channel sound installation in Lincoln Park Conservatory that featured a 90-minute composition of recordings of vocalists imitating Indian birds. Ramgopal’s sophomore EP is due in 2019.